The Big B.O.B. is a unique modular blaster carriage solution. 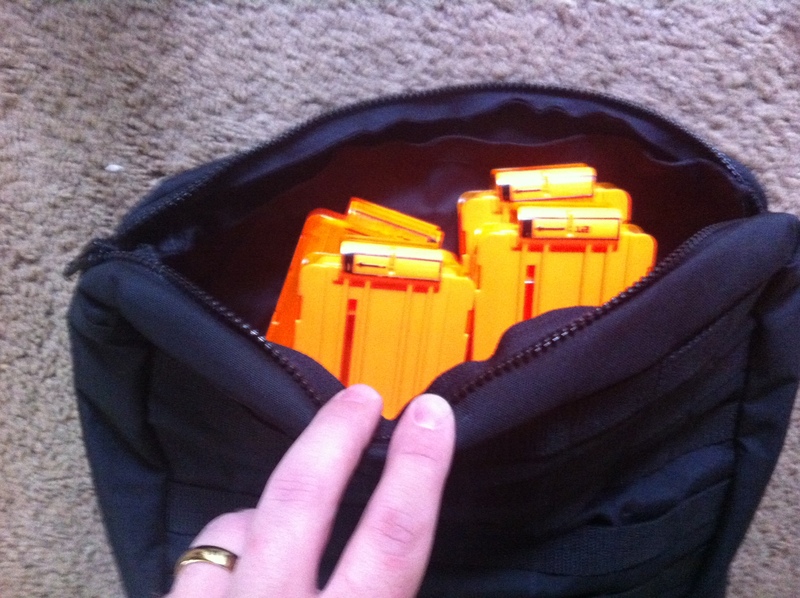 It allows for the storage and transport of a small arsenal of blasters. 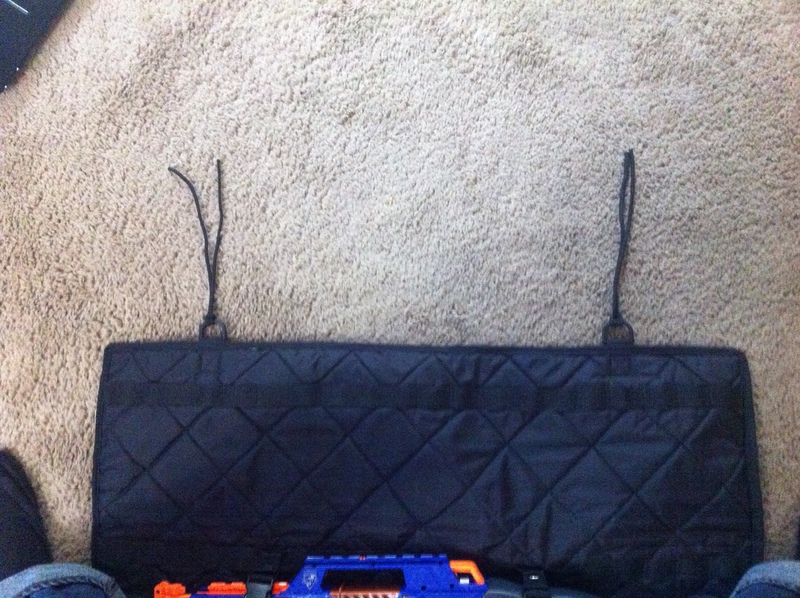 The layout is customizible using the adjustable blaster retention straps (6 included, I bought a few extra). The outer shell is durable cordura, while the inner lining is a smooth quilted nylon fabric. The whole thing is padded to protect your blasters in transit. The top edge of the B.O.B. is fitted with a pair of D-rings allowing it to be hung on a wall for storage/display purposes. The D-rings, like the rest of the B.O.B. are securely stitched in place. Here it is all wrapped up. With the included cinch straps fed through the guide loops it makes for quite the tidy package. 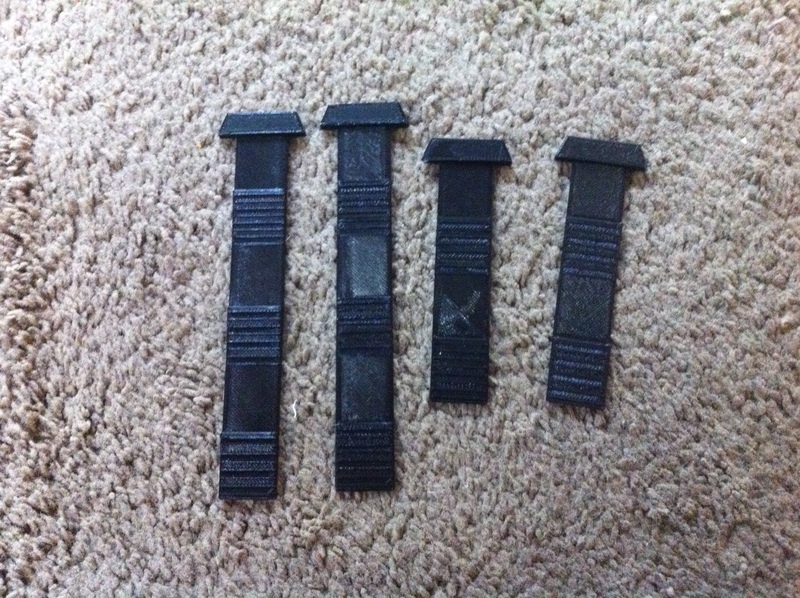 However, on my B.O.B., the straps are situated a bit too close to the ends when compared to the prototype pictures. This means that the straps can slip off and the B.O.B. can unroll if you are not careful. I may remove and re-sew the guide loops myself at a future point, but that is the only issue that I have with the product itself. 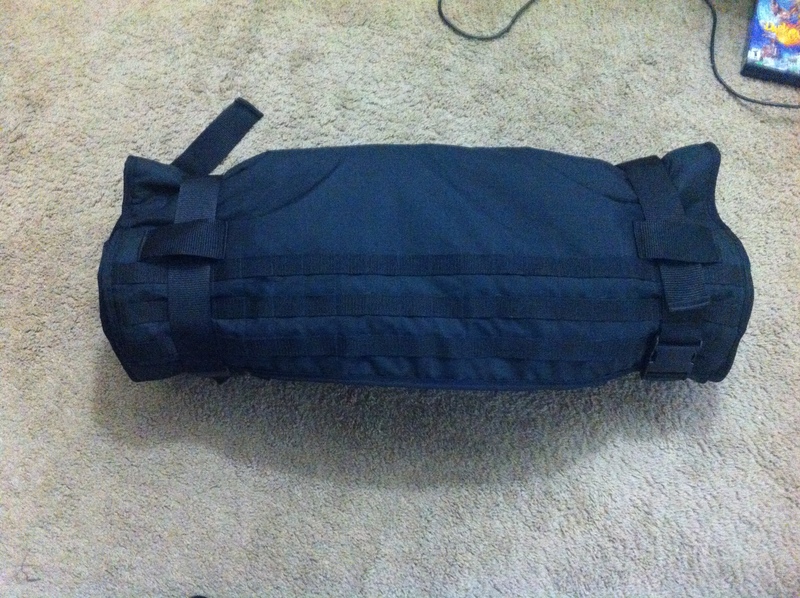 The MOLLE/PALS webbing on the outside of the B.O.B. allows for pouches and accessories to be attached. The B.O.B. comes with a padded carry strap. 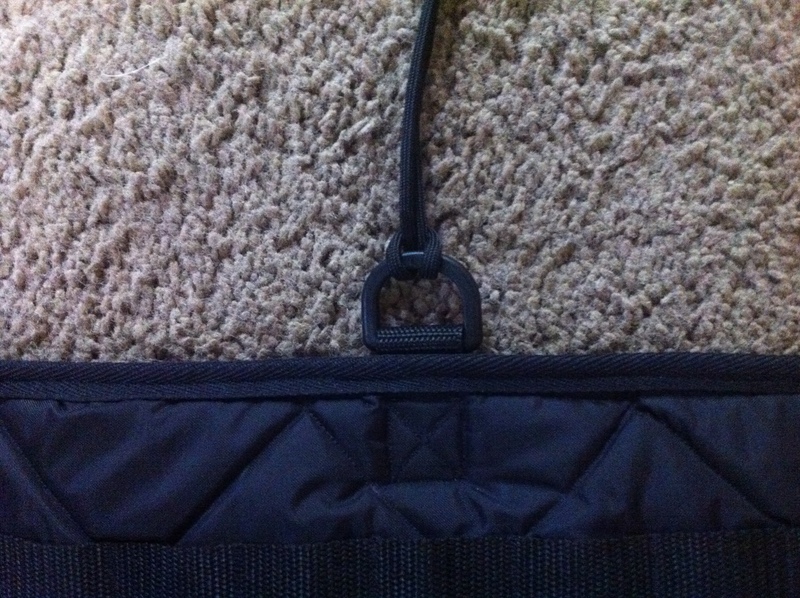 The carry strap is adjustable, and loops through the same guide loops as the securing straps. 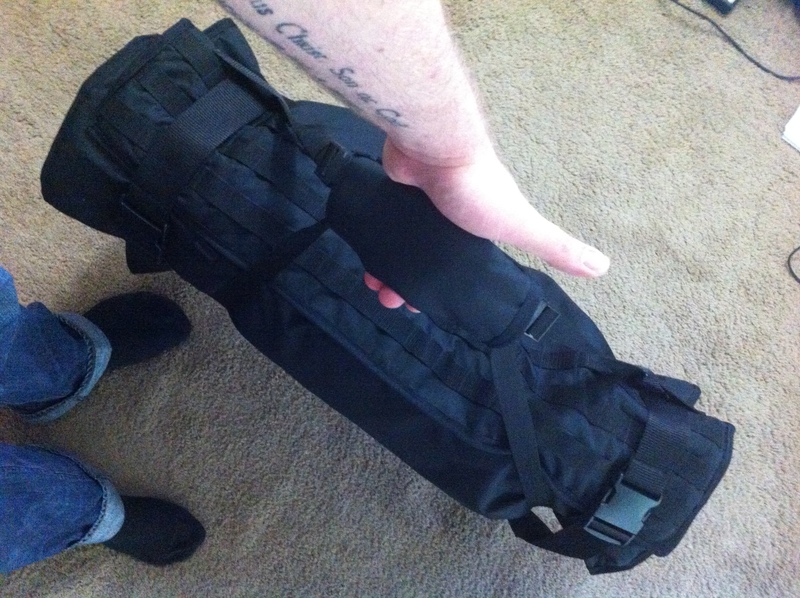 It makes for a comfortable way to carry the B.O.B., either by hand or slung on a shoulder. The B.O.B. 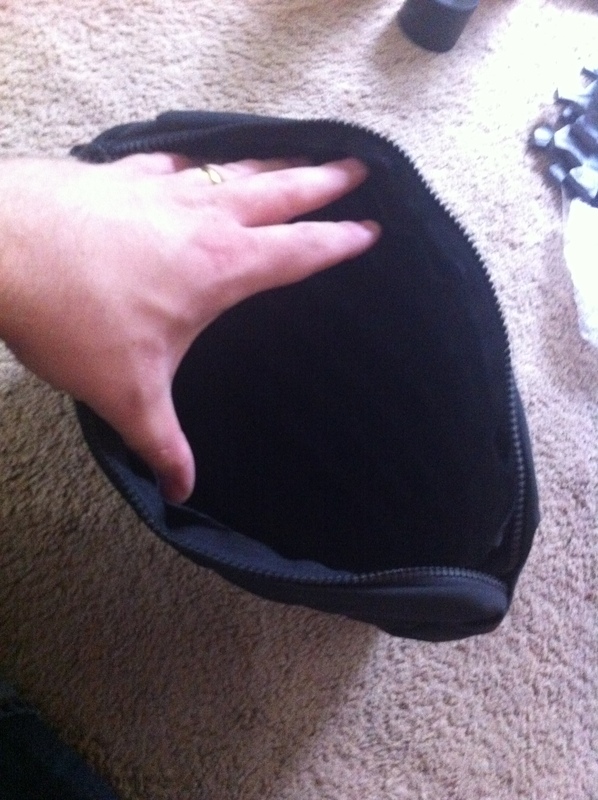 also comes with a large zippered accessory pouch to store the straps in. 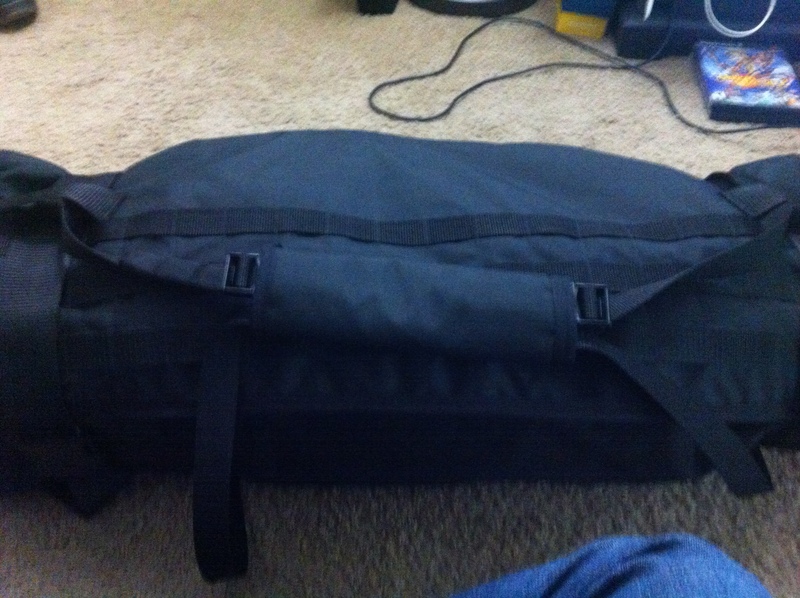 It has MOLLE/PALS webbing on both sides. and works well for carrying magazines or darts. The B.O.B. 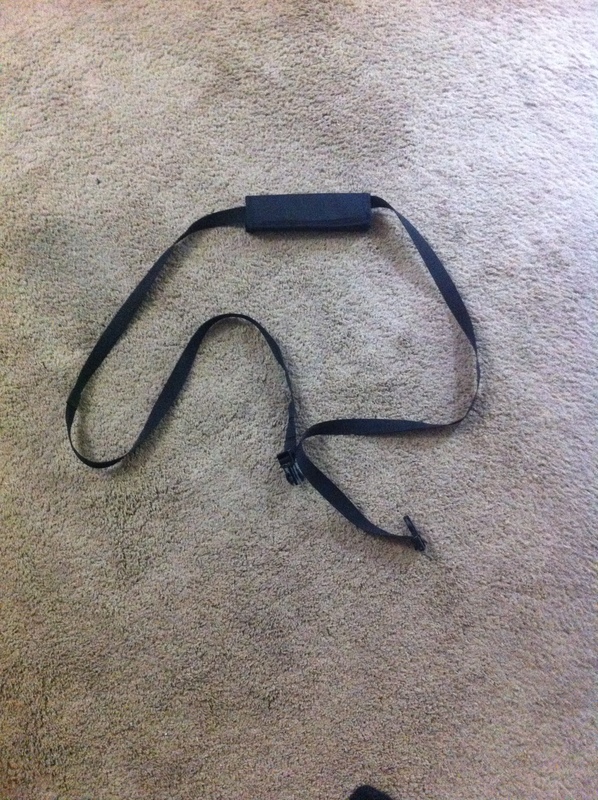 also came with a set of 3D printed MOLLE retention bars for securing the accessory pouch to the B.O.B. However, unlike the Narrowbase LLC. 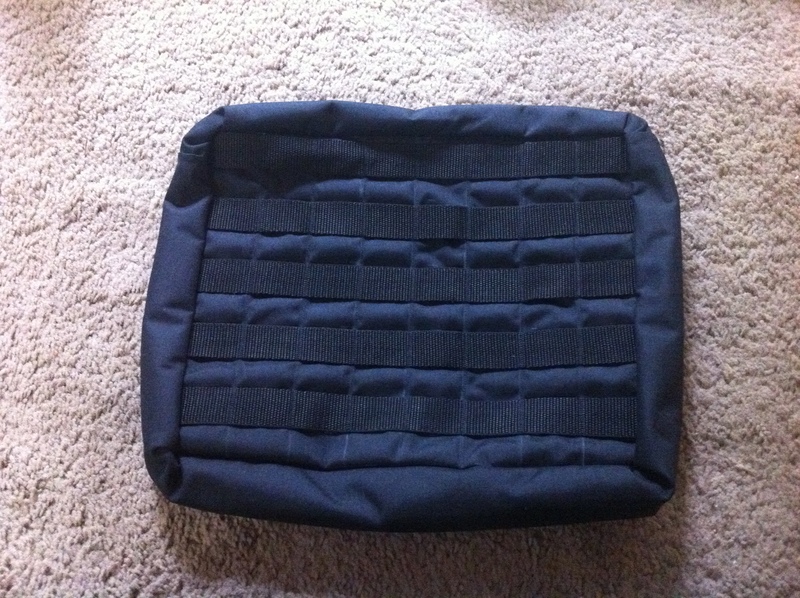 MOLLE bars, these feel a bit loose and even fragile. this one has noticeable flaws throughout. This product is not for the casual Nerfer. As a made-to-order product, it comes with a made-to-order price tag, and if you live in the US, like I do, expect to pay a bit more for shipping. I believe that I paid somewhere around $150US for the B.O.B. extra straps, and shipping. That said, this is a product that you won’t find anywhere else. 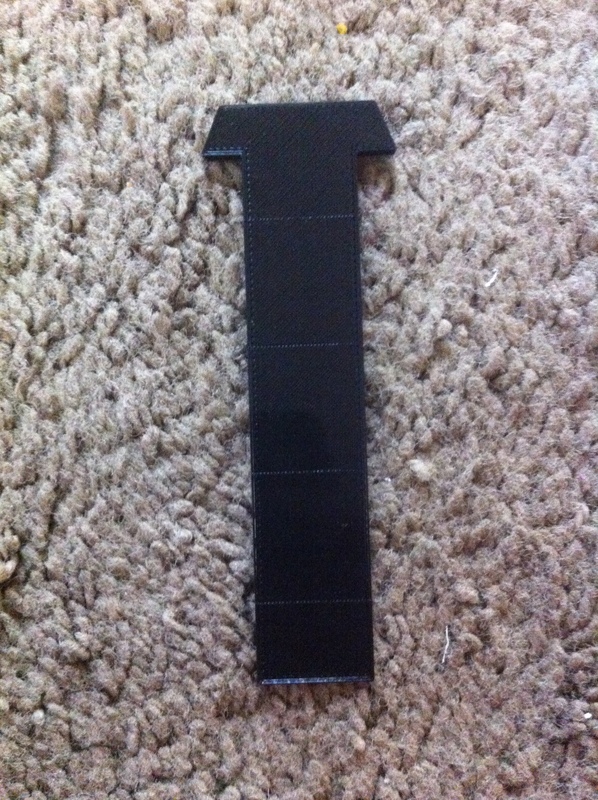 Aside from the guide loop placement and 3D print inconsistencies, this is an excellent product. 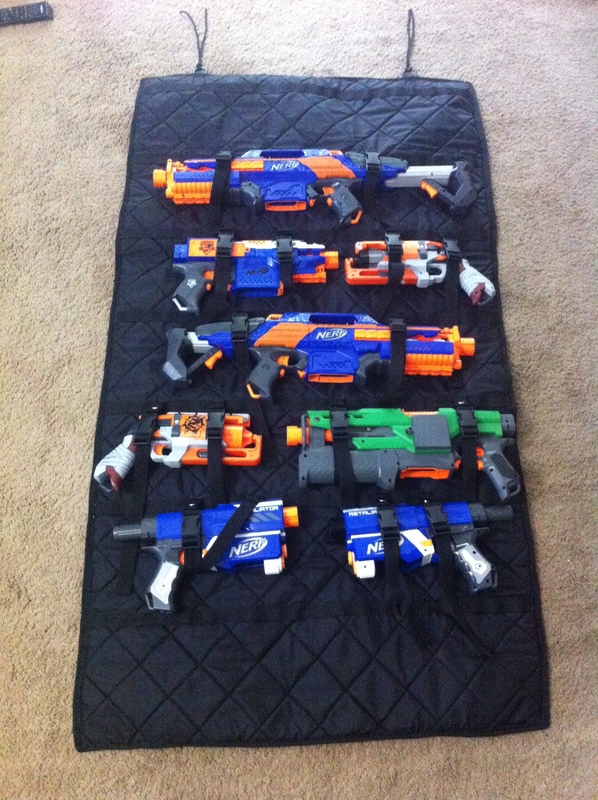 It sure makes an impression whenever I roll it out at a convention or Nerf event. BSUK’s craftsmanship is excellent, and their customer service is top notch. 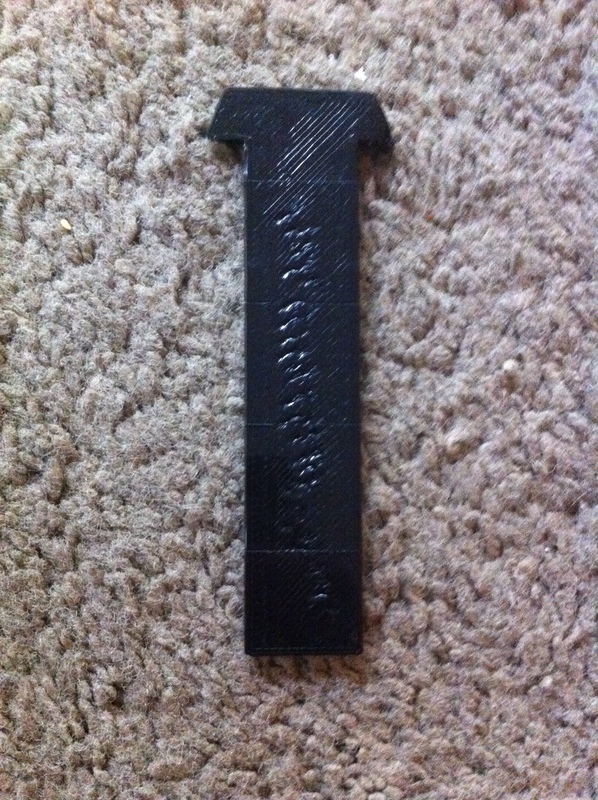 All they are lacking is a higher resolution 3D printer. This entry was posted in Costuming, Foam Weapons, Nerf Modification, Props, Reviews, Toy Guns and tagged bag, Big B.O.B., Big Bag O' Blasters, blaster, Blastersmiths UK, BSUK, display, gear, Nerf, review, storage, tactical. Bookmark the permalink. I’m sorry, I don’t know of anyone who makes a similar product.